Flo is constantly writing music. Pop, rock, classical, cabaret, … Here’s a collection of tracks she wrote in the past. Available on iTunes , Amazon and all the major digital platforms. 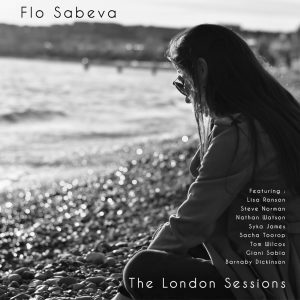 It comes with a free book which tells Flo’s journey, moving from Belgium to US, South of France and London and her encounters with the different artists on this album. ENJOYING THE MUSIC YOU HEAR? IT MAY BE AVAILABLE TO LICENSE FOR YOUR PROJECT! A LICENSE IS SIMPLY A PERMISSION TO USE THIS MUSIC FOR YOUR SPECIFIC PROJECT. PLEASE LET US KNOW WHAT YOU WOULD LIKE TO USE. WE CAN AGREE A BUDGET AND YOU WILL RECEIVE HIGH QUALITY UNCOMPRESSED AUDIO FILES AFTER PURCHASE.